wildcats for DNA sampling. All cats trapped and sampled will have full disease screening, pelage scoring and genetic testing. 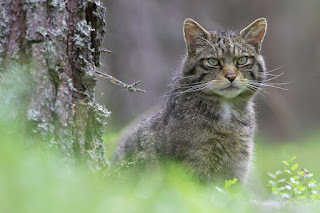 In addition to the sampling, a number of cats will be fitted with GPS radio tracking collars that will allow researchers to gain a better understanding of how wildcats and feral cats coexist and how this relates to hybridisation. These procedures will be carried one animal at a time so as to minimise disruption to the animal’s normal routine. SWA is open and transparent about its work and all studies undertaken will be fully documented and available. Roo Campbell, the SWA project manager, said: “We are at the stage of the project at which we need firm genetic information on all wildcats left to inform current and future conservation decisions. This information will also give us a clearer view on where population recovery techniques, such as reintroduction, could take place”. 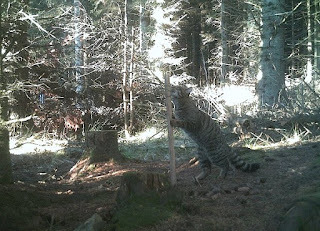 “Trapping will allow us to collect samples for DNA and disease screening. The cat will be released immediately." 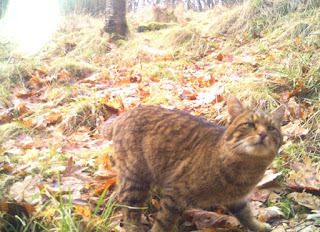 Dr Kerry Kilshaw from Oxford University is running further research into wildcats and their behaviour by putting temporary GPS radio tracking collars on wildcats and hybrids to track their movements.